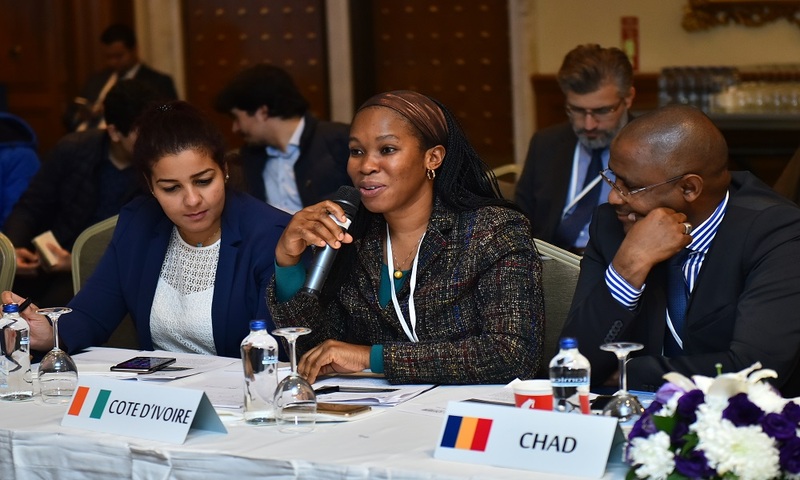 35 young diplomats from the Ministries of Foreign Affairs and the embassies of OIC Member States in Ankara attended the programme. 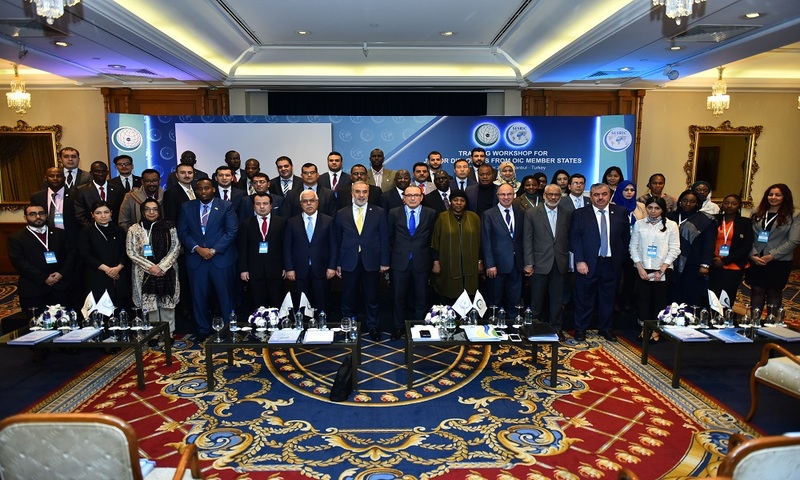 The opening session of the programme was attended by the Permanent Representative of Turkey to the Organization of Islamic Cooperation (OIC), H.E. Amb. Salih Mutlu Şen, H.E. Amb. 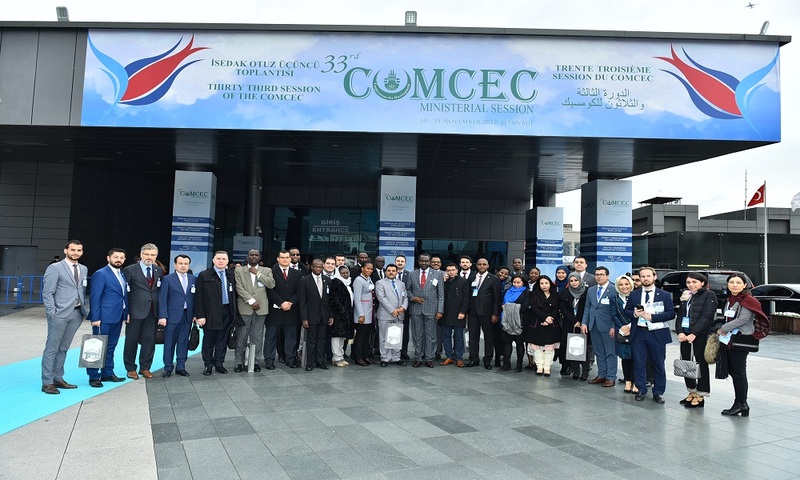 Musa Kulaklıkaya, the Director General of SESRIC, representatives of relevant OIC organizations and representatives of the diplomatic missions of the OIC Countries in Turkey. On the occasion of the opening session, H.E. Amb. 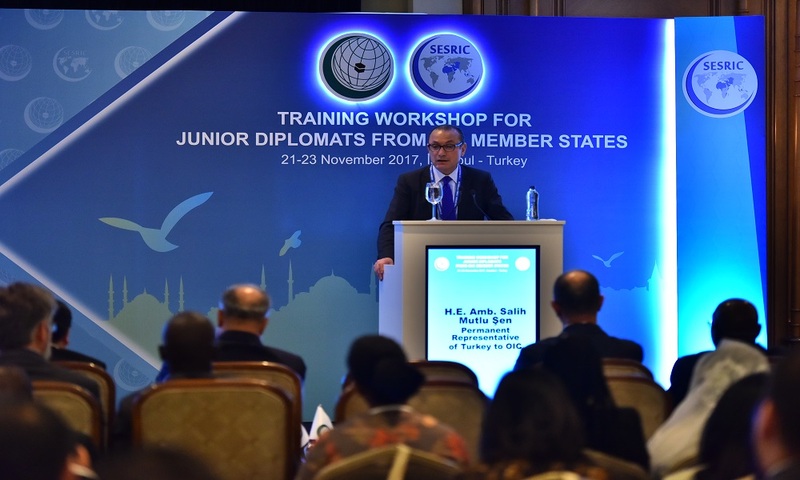 Musa Kulaklikaya, Director General of SESRIC, addressed the participants by emphasizing the importance of this training workshop for junior diplomats from OIC Member Countries who are at the beginning of their diplomatic carries. 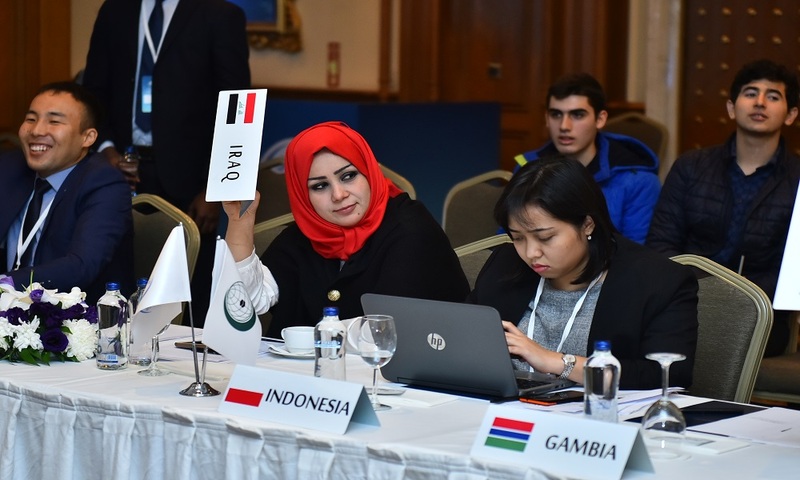 “The current training workshop for Junior Diplomats from OIC Member Countries has the main objective to provide to the junior diplomats from the OIC Member States a distinct opportunity to enrich their knowledge on OIC, its organs and their modalities of cooperation. 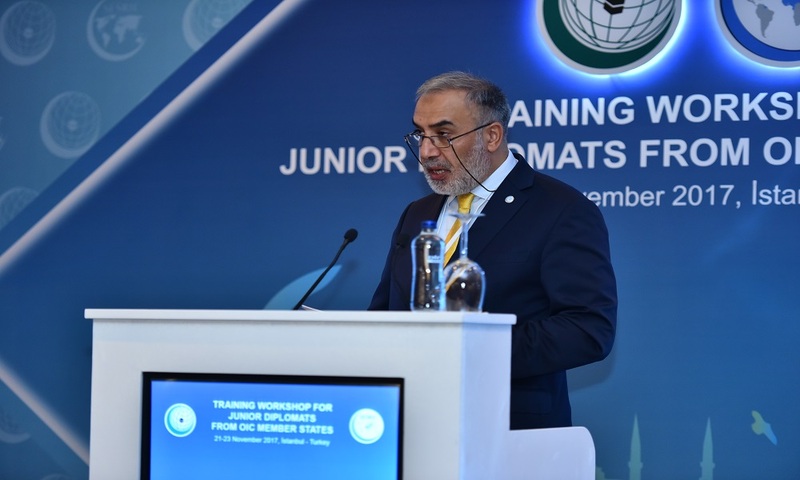 I believe that the workshop will build the capacities of junior diplomats to contribute throughout their career to the improvement of the image of the Muslim world, their own countries, the OIC and its organs. I am confident that this training workshop will help young diplomats to be more aware of the common positions of the OIC on current regional and international issues,” he said. Furthermore, H.E. Kulaklikaya mentioned the enormous role that diplomacy plays in building peace, security, and stability for the OIC Member Countries and for the rest of the world. “For diplomacy to be far more effective, those formulating and executing foreign policies need to learn the skill of relating to and communicating with people whose interests are different than their own. Only this way, we can build peace, security, and stability for our countries and for the rest of the world. 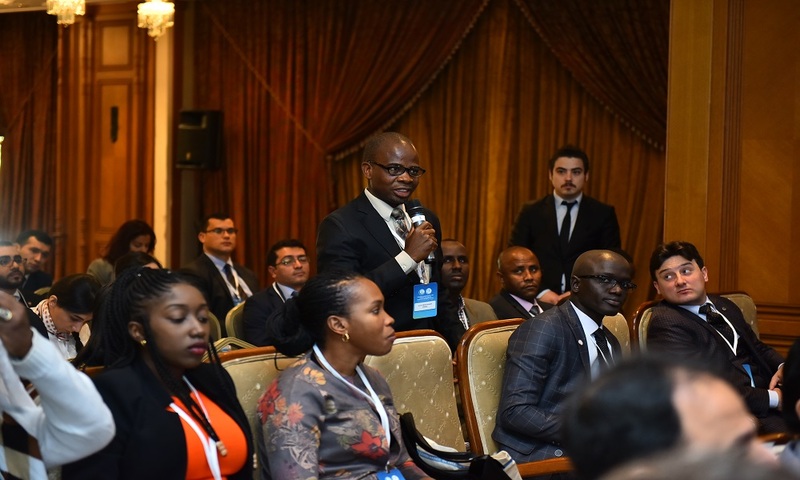 In this regard, a diplomat must demonstrate a true willingness to develop skills that will build relationships rather than break them, leading in the direction of peace and cooperation,” he added. At the opening session, H.E. Amb. 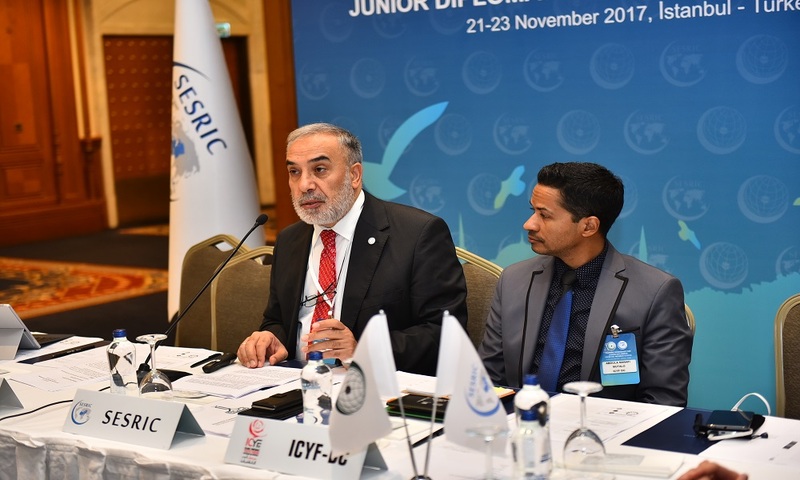 Hameed A. Opeloyeru, Assistant Secretary General of the Organization of Islamic Cooperation, lauded SESRIC for the initiative and emphasized the importance that the programme has in familiarizing junior diplomats with the role and efforts of OIC in the sphere of international relations. 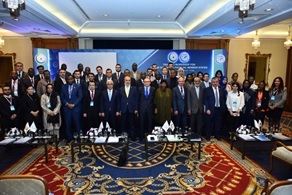 “This initiative is laudable as it would afford the representatives of OIC member states the opportunity of interacting closely with other practitioners and stakeholders on issues of common interest to the entire Organisation,” H.E. Opeloyeru said. The Assistant Secretary General briefly informed the diplomats about the various stages of transformation that OIC has gone through since it was only a mere idea in 1924, when the Ottoman Empire collapsed, mentioning in particular the great importance that Palestinian Issue has in the Agenda of the Organization of Islamic Cooperation (OIC) as the primary cause of its establishment. “The OIC as a family has transited from a mere idea that was mooted in 1924, when the Ottoman Empire, which represented the voice of the Muslim world was in decline, to an international organisation that seeks to unify the entire Muslim Ummah. The various stages of transformation of the Organisation are worthy of deep introspection by all stakeholders, who seek to understand this second largest international Organisation after the United Nations. In this regard, the Organisation has taken up various issues on its agenda, including its primary cause, which the restoration of the territorial rights of the Palestinians and the struggle against the illegal occupation of the Islamic Holy sites. It also includes the advancement of the socio-economic welfare of Muslim populations, youth and women empowerment, cultural revival and emergency humanitarian response in the many conflict zones of the Muslim World,” H.E. Opeloyeru concluded. H.E. Amb. Salih Mutlu Şen, Permanent Representative of Turkey to OIC, delivered the keynote address on “The OIC Leadership of Turkey: New Visions and Programs”, emphasizing the active role of Turkey in the Organization of Islamic and its important contribution for the cause of Palestine as the principal issue of the Organisation. 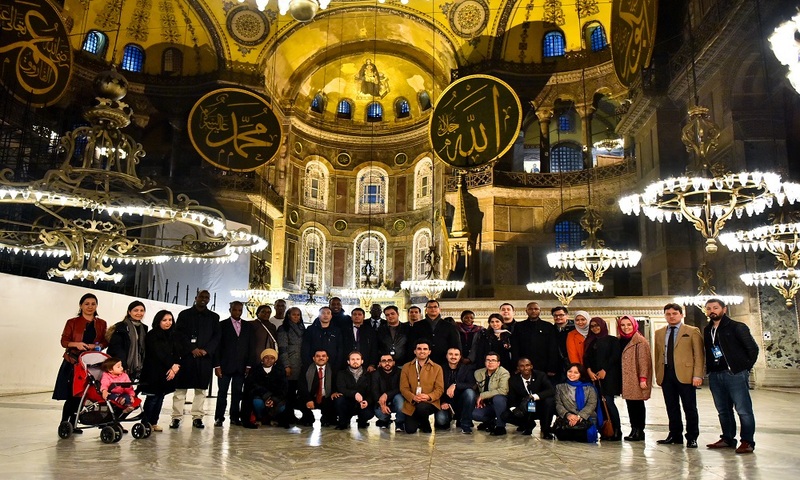 The Training Workshop for Junior Diplomats from OIC Member Countries was organized in conjunction with the 48th Anniversary of the establishment of the Organization of Islamic Cooperation (OIC) and in parallel to the 33rd Session of the COMCEC that was held on 20-23 November 2017 in Istanbul. In addition to the opening ceremony, the training workshop included eight sessions. During these sessions the Workshop heard detailed presentations about the dynamics of decision making and functioning of different OIC organs, including Standing Committee for Economic and Commercial Cooperation of the Organization of the Islamic Conference (COMCEC), Islamic Development Bank (IDB), Islamic Centre for Development of Trade (ICDT), Islamic Conference Youth Forum for Dialogue and Cooperation (ICYF-DC), Research Centre for Islamic History, Art and Culture (IRCICA), The Standards and Metrology Institute for Islamic Countries (SMIIC), and Islamic Chamber of Commerce and Industry (ICCI). Furthermore the training also included an OIC Model session run by ICYF-DC. 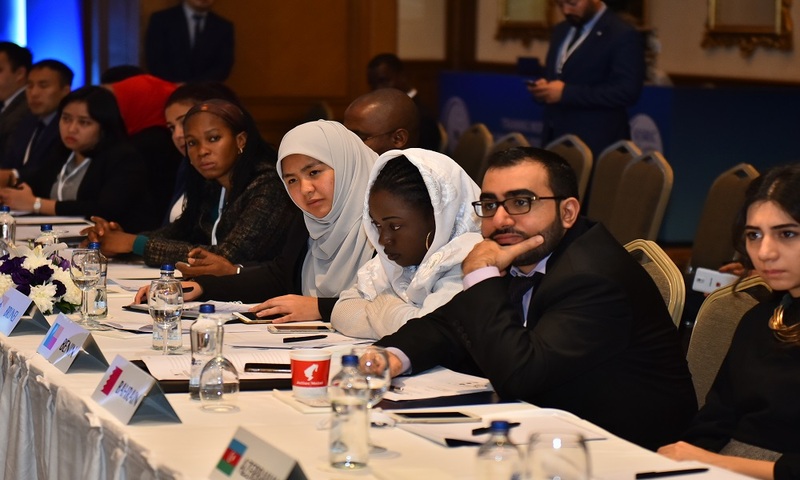 This was the first phase of the training workshop that included young diplomats and was designed to enhance their capacities and skills and help them acquire necessary knowledge about role of the OIC within the sphere of international relations and understand the major regional and international issues.